“Solera” is usually seen emblazoned on some Spanish style rums to signify that aging has complied with the “solera” system. The Glenfiddich Solera Vat “marries” whiskies that have been aged in three different casks: sherry, bourbon and new oak. Always kept at least half full, the solera vat has some whisky taken out of it that is then replaced with young spirit. The result is the marriage of young and aged spirit to create something quite different and interesting for the whisky world. Nose: Like a gentle warm hug, the whisky embraces the nose with dark chocolate coated raisin and licorice. Cutting through the gentle oak is a sharp lemon essence that simply cannot contain itself as it morphs into orange oat cake and vanilla fudge, but just as the whisky seems to tire it shimmers with the bright sweetness of fresh pineapple and spearmint confectionary. 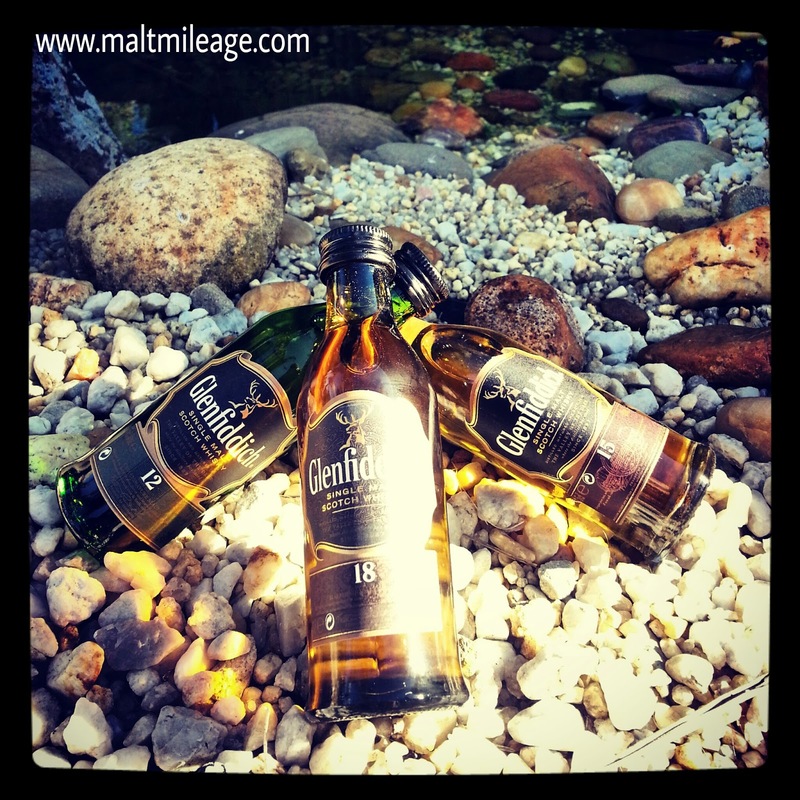 Taste: There are some things in the whisky world that just work, and the Glenfiddich 15 Year Old Solera is one of them! Soft and warm on the palate, this whisky offers a surge dried citrus fruits dashed in unsweetened cocoa powder as the sweetness of sultana begins to beam through the appropriately dense spicy oak that radiates but does not pierce against the palate. The flavours of coffee remain almost hidden in the oak, but they are sweet almost like coffee flavoured confectionary. This is seriously beautiful whisky that deserves close attention. It is wonderfully smooth and hardly has any ripples at all; just smooth sailing and almost perfect balance. Finish: The dusting of cocoa on the citrus leaves a resin-like, almost dusty, sensation on the palate that glows with oak charged spiciness and a gentle fruity glow. Far too mild mannered, I just wonder how much more delightful this would be at 46%! Come on Glenfiddich! Nose: Gentle on the nose, the presence of the Oloroso sherry is clear as its sweetness appears to overwhelm the cocoa that cries out from the depths of the oak as the bourbon influence releases some lovely lush vanilla notes with some dried prune. Taste: Unexciting on the palate, this whisky hits with a surge of sherry sweetness that buzzes for a short while and then vanishes into a weak flutter of honey glazed, almost grassy, dried paw paw. Finish: The finish lingers for a long while, but it is sweet as that sherry takes centre stage yet again.